Oakley: Oakley is a company based in Lake Forest, California and was formed as a company in 1975, originally producing goggles. In 1983 Oakley began producing ski goggles and quickly gained recognition has a quality producer of fine eye wear. Today the company has grown in epic proportion and is synonymous in the sporting industry with its quality and unrivalled design, some people think of Oakley as only eye and Sunglasses producers this certainly is not the case. Working with sports men and women from a wide and varied range of sports Oakley has become a world leader of sporting apparel. 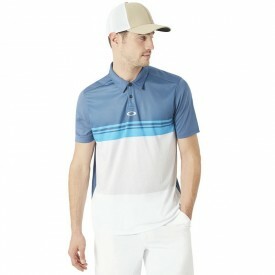 Golf apparel is one string to this companies bow and wow do they produce a great range. Golfsupport are proud carriers of the Oakley golf range and are pleased to present some of their finest lines.